Apple Leisure Group (ALG) has named Javier Águila as president of the company’s expanding European division. Based in Palma de Mallorca, Águila joins the executive committee of the U.S.-based parent company, and will report directly to Javier Coll, the company’s executive vice president and chief strategy officer, who is responsible for the company’s business operations and expansion in Europe. Coll said: “Since announcing our first resort project in Spain, we have seen strong demand from owners wanting to bring our award-winning brands to Europe. Águila is responsible for the development and implementation of the company’s strategic plan for growth in Europe. 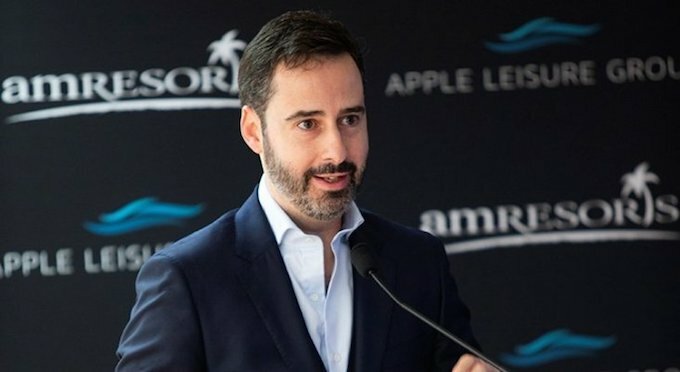 Working alongside ALG’s team, which includes Jordi de las Moras, managing director of the European Division, he will be focused on establishing ALG’s presence in the premier vacation destinations throughout Europe, and overseeing the expansion of its hotel and resort brands under AMResorts. He will also oversee the company’s current portfolio of 4,000 rooms across 16 hotels, 12 of which are in operation under the Alua Hotels & Resorts brand. Águila began his career with the consulting firm of McKinsey & Company and Booz Allen in New York, London and Madrid. In 2007, he joined private equity firm The Carlyle Group as part of the company’s executive team overseeing investments in Europe. Prior to joining ALG, Águila served as COO of Orizonia until founding Alua Hotels & Resorts in 2014. In four short years, he built Alua’s brand management portfolio to include 15 hotels in the Balearic and Canary Islands, working with institutional investors including KKR, Blackstone, HI Partners and Alchemy. In late 2018, ALG acquired a majority stake in Alua, at which time Águila began his transition into the role of President of the European Division. Águila earned his degree in business administration and management from ESADE and holds a master’s degree in management from the Thunderbird School of Global Management. He also attended Columbia Business School, where he earned his MBA. For more information about ALG, visit www.algdevelopment.com.